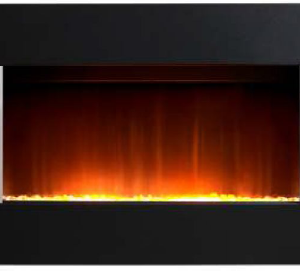 Setting out to stun, the Brooklyn electric fireplace is stunning sleek, contemporary fireplace, complete with a realistic hot ash fuel bed. The Brooklyn has a choice of fuel effects. The evoflame effect produces realistic, deep flames, and the aforementioned hot coal fuel bed effect. The fully adjustable effect, which you can control remotely, is good for 50,000 hours of running time. 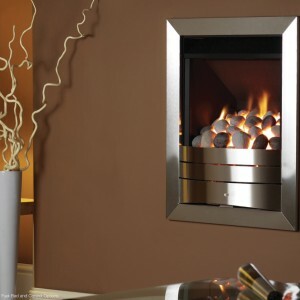 Alternatively, there is the LED effect, which provides a 1 or 2kW heat setting. 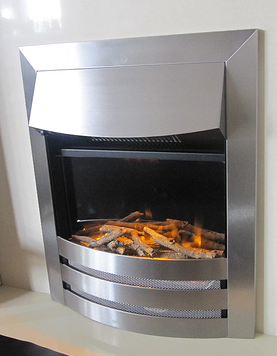 It’s powerful flame effect can be used independently of the heater being turned on.